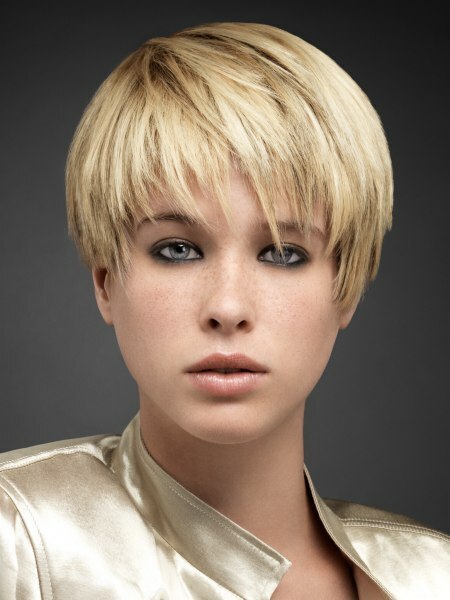 Look for the short cropped bed head look like that pictured above to be hot this season. We’ve seen the likes of Vivienne Westwood, Kylie, Erin O’Connor, Sienna Miller, and Keira Knightley all sporting the look recently. The catwalk has seen the look on models from Moschino, Vivienne Westwood, Yves Saint Laurent and Hermés as well. The Graham Webb International team has some tips on how to create this stunning hairstyle. How to Open a Salon or Day Spa I know a lot of you regular readers are entrepreneurial types based upon the email I get whenever I write something relating to business opportunities in the hairstyle and beauty industries. So when I saw this long article in Entrepreneur.com I felt the need to pass it along. I read bits and pieces of the article and it appears to make it sound a whole lot easier than it really is. Running a profitable hair salon these days requires is not for slackers. I must admit that I really don’t keep up with the organic hair care product developments much but I happened to see this short piece over at my sister Glam sites SheFinds on How to Choose an Organic Shampoo. In it she lists lots of product recommendations for those of you who want to go Green with your hair care products. June 13, 2007 By: Barb Quinn Hairstyle Blog Leave your comments (0), Your input matters.